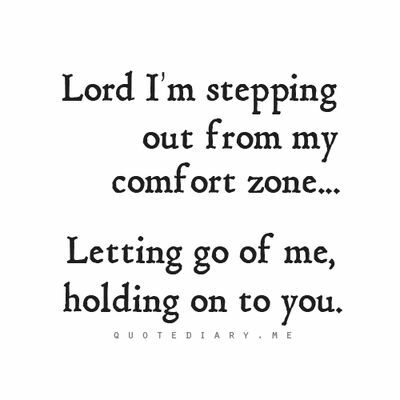 Out of our comfort zone… That’s where the Lord would lead us! It’s never pleasant to be pushed “out of your comfort zone” but that is usually when and where we experience growth! And it is very often where God would lead us (and additionally, what pleases Him)! Now, I have to admit I feel a lot more comfortable with that first group! They’re my friends! They’re family! I know them. They accept me. We’ve got a lot in common. And my rich neighbors… they can help me succeed – I get recognition and status from hanging out with them! The problem is, I’m a Christ follower! He’s my Savior and leader. He not only rescued me from sin and self – He’s committed to my spiritual growth! I’ve embraced His values! I’ve committed my life to following Him! He is Lord and all that term implies! And He insists that real life is not about me – it’s not about living “in my comfort zone.” It’s about meeting needs – about loving others! So He urges me to honor the poor, the challenged, the disadvantaged, the marginalized… those who cannot return the favor. He insists that’s the way to blessing! And as if to push me even further, He says the payoff may not even be in this life – it may come in the afterlife – after the resurrection in heaven!